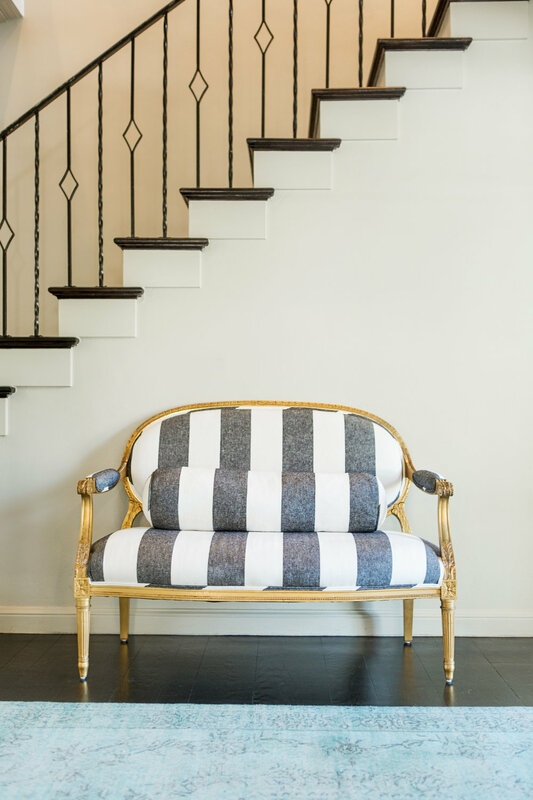 Whitney Schones Design is a full-service interior design firm specializing in unique and timeless interiors and effortless home renovations. 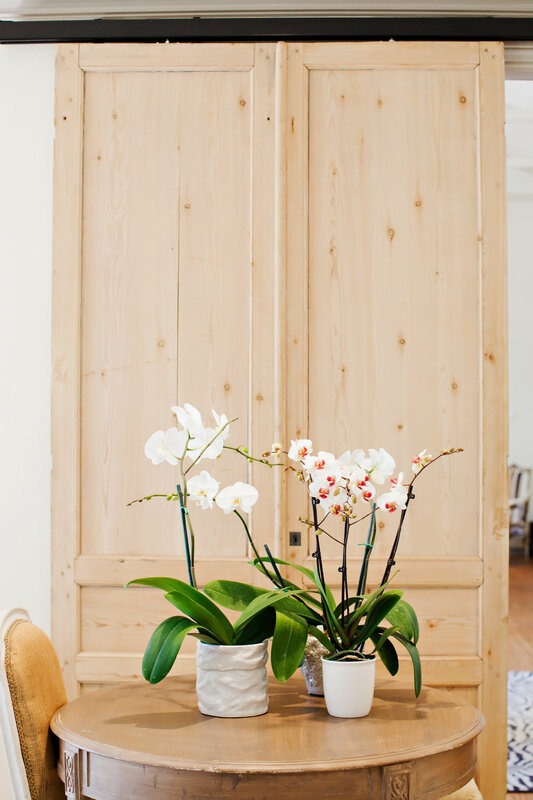 Based in San Antonio, Texas, we serve clients in the regional area and beyond, and pride ourselves in creating spaces that are lasting, elegant and uniquely suited to their owners. We create beautiful homes and believe in work that’s traditional but modern, historically faithful and nuanced with our own eclectic and edgy, but always elegant style. It was clear from a young age that Whitney loved beautiful things—parties, florals, tablescapes and fashion. Her love for interior design started in her teens when she would help her grandmother decorate her home for the holidays. Armed with a sewing machine and the only fabric that she could afford, she created her own pillows and drapes and never turned away from her love of textiles. With 15 years of experience in the industry, Whitney is a trendsetter when it comes to interiors and home decor. Her style is playful and cutting edge, while still coming across as timeless and classic. Her knowledge and experience is rooted in understanding what makes others tick and integrating nuanced details into a design that make them feel confident, comfortable and at ease. Outside of making homes beautiful, Whitney spends much of her free time volunteering—serving on local boards and committees for fundraising galas. She also loves to get outdoors and golf and travel with her family. Kyley joined the team in 2016 and her super-organized and efficient nature makes her the ultimate project manager. Backed with a degree in Business Management and Marketing, Kyley effortlessly manages the coordination and execution of every project—including order placement, tracking, receiving and management from the start to a perfectly installed finish. Kyley is inspired by travel and drawn to the little details that go into design, especially when it comes to selecting lighting and hardware. When she’s not in the office, she is dreaming of her next travel adventure or spending time with her husband and two boys. An architecture student currently working on her degree in Construction Sciences and Management, Payton joined the team in 2017 and offers her precision and attention to detail to create renderings, draw plans, take measurements and conduct site visits. With a natural eye for construction, Payton is often on site to ensure that materials are accurate and that everything is done according to our design plan. When she’s not living that hard-hat life, Payton’s likely working on finishing her degree and working toward her Masters in architecture. Beyond that, she loves to spend time with her family and get outdoors—often kayaking or hiking the trails with her dog. 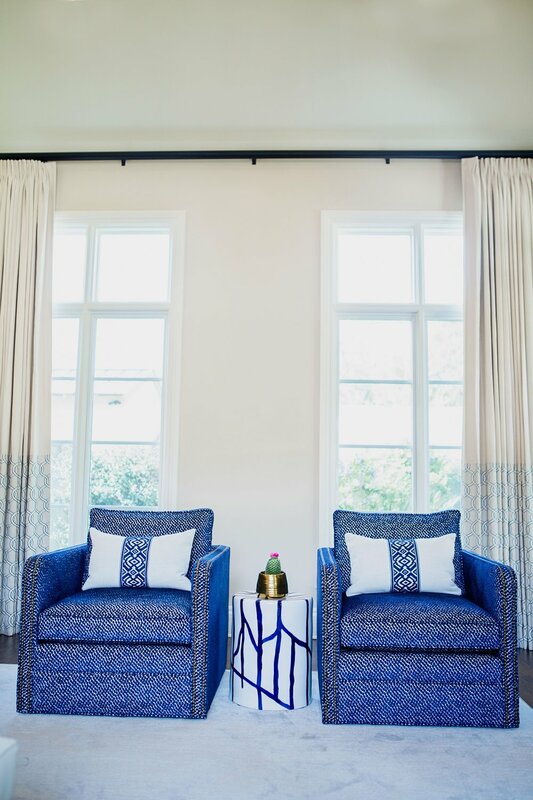 For those interested in updating a few furnishings throughout their home to fulfill a vision or update a neglected space, we use our deep knowledge and relationships with quality vendors to enhance your surroundings and ensure lasting investments. We can source anything from furniture to fabric and wallpaper, and even provide access to contractors and other craftsmen to pull together those thoughtful details that turn an ordinary living space into a well-curated home. Whether it’s a redesign of specific room—such as a kitchen, vintage bathroom or living area—or a complete remodel of an entire home, we manage projects of all sizes. Our expertise in design, coupled with access to the best in professional construction, gives our clients a completely seamless and integrated process from start to finish. Three incredible fine dining rooms provide the perfect place for year-round entertaining, including a ruggedly elegant dining room designed by Whitney. 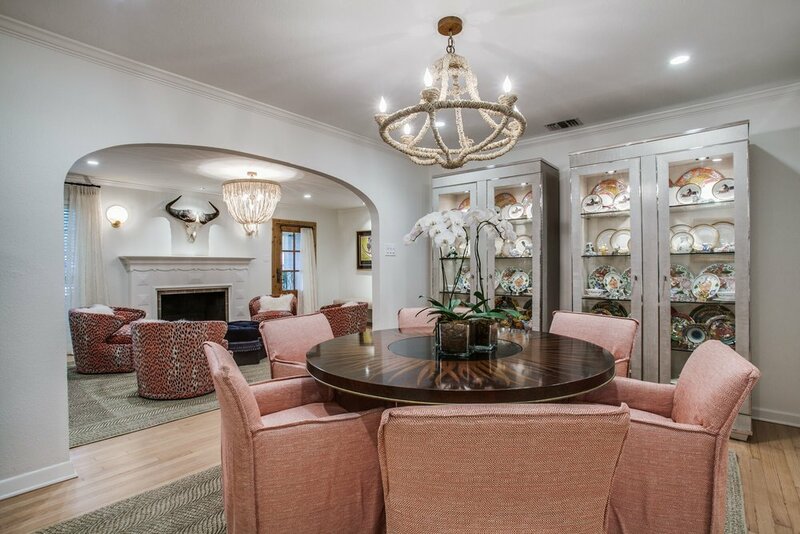 Working with a client who was also an avid hunter, Whitney artfully combined animal skull details, a fine china collection, pink high-performance upholstered chairs and a zebra rug to create a refined space that also isn’t off-limit to the kids. Eleanora Morrison, founder of Eleanora Magazine, sits down with Whitney to ask her a few questions about her background, preferences and hot tips for curating a well-styled life. Throughout the process, she discovers Whitney’s eclectic aesthetic that encourages clients to step outside of their comfort zones with pattern mixing, pops of colors, bold lighting fixtures and wallpaper that makes rooms lighter and brighter. An editorial featured Em(Powered) by Sarah Flint, in collaboration with ELEANORA Magazine, Whitney is featured as one of the San Antonio women whose story inspires you to #walklikeawoman with pride in your daily life. 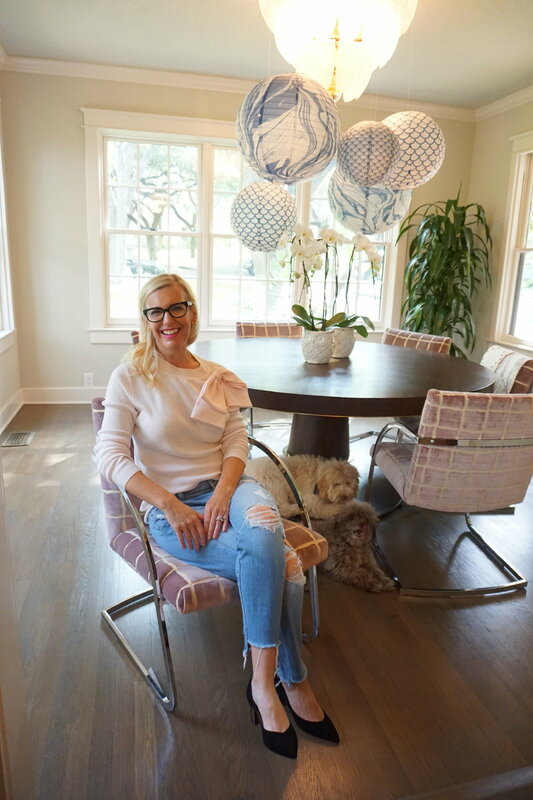 Noted as one of San Antonio’s top interior designers, Whitney and some of her local projects are featured, along with her thoughts on the importance of hiring an interior designer. It’s not all paint and wallpaper: “I am a therapist for your home,” said Whitney. For a home with family at its core, Whitney remodeled and designed the interior of a home that had played host to three generations. With hospitality being a central to their family, the kitchen was a heart of the home and Whitney dove into the kitchen redesign on the first day of the job. Complete with outdoor living areas for al fresco dining, an outdoor terrace off the master, and a patio and pool, the remodeled estate will serve generations to come! When redesigning their own Elm Creek kitchen, Whitney and her husband Bryan put family first. Merging practicality and elegance, Whitney designed a space where their two daughters could feel free to act like kids. Inspired by a Swedish palette, their kitchen features earthy pastels, Farrow & Ball Blue Gray and exotic marble with a gray and green veins; and she gracefully embraces the inevitable stains that come from living a full life in a good kitchen surrounded by family. ABOUT YOU AND YOUR PROJECT. We create beautiful homes and believe in work that’s traditional but modern, historically faithful and nuanced with our own eclectic and edgy, but always elegant style. We’d love to learn more about you and your project. Whether it’s just a room or an entire home, we can guarantee our whole heart will go into anything that we collaborate on. Send us your contact details below or at Materials@WhitneySchones.com and please add a bit about your space. We’ll be in touch to take care of the rest! © Whitney Schones Design, LLC.